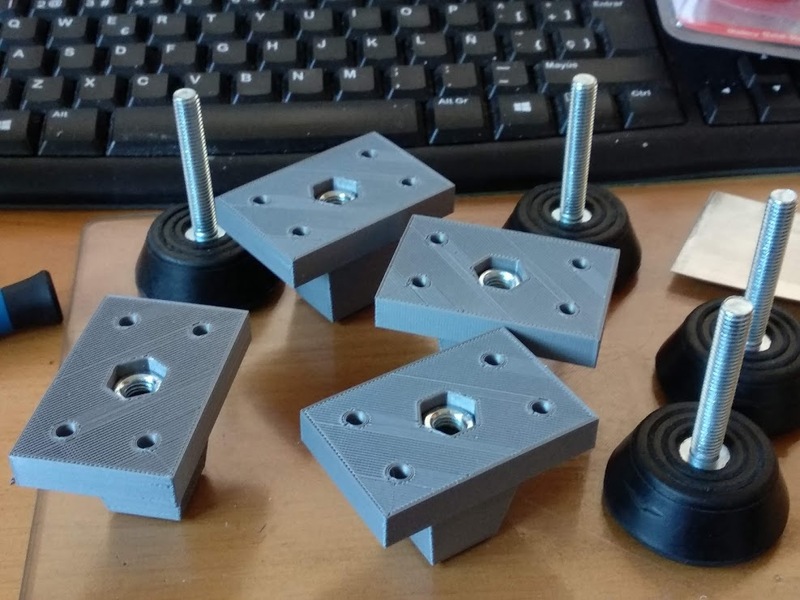 Today I bring you a new design for put adjustable feet to our printers. 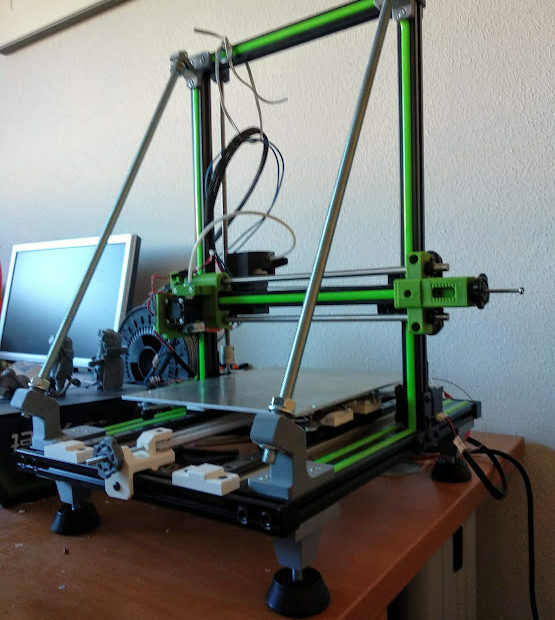 Why I need adjustable feet? 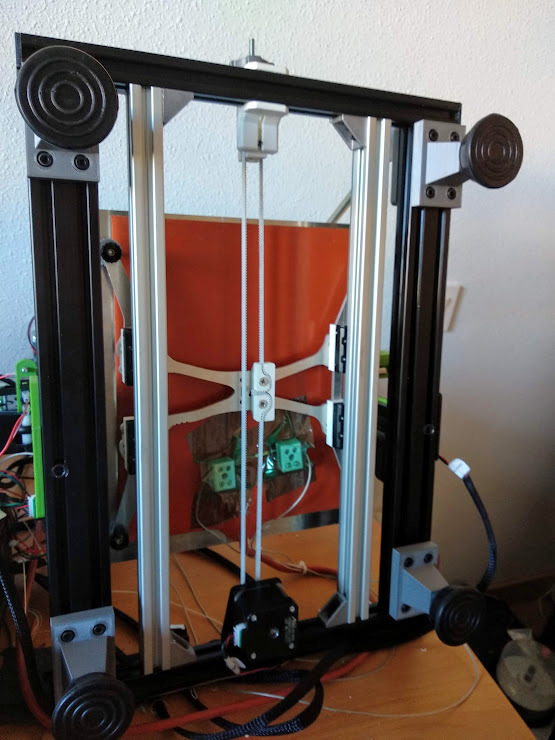 I don´t know if this is you case, but my printer is not as stable as I want and I need to adjust the feet with some external things. This is the reason because I have designed this part. 16 M4 SHCS screws 10 mm lenght. 16 M4 Tnuts 20 profile. How I install the improvement? First of all, put M8 nuts on the holes, inside and outside the part. After that, anchor the part to the profile using tnuts and M4 screws. Lastly, intruce the foot on the external M8 nut and spin it until you get the internal nut and finally the profile. To adjust the height of the foot spin turn out the feet until get the desired height. I let more than 1 cm to adjust each foot. The system is very stable due to the double nut system and to the size of the screw of each foot. 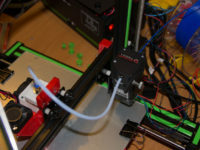 The printer is higher than before, so is easier to clean rests of filament below the printer. It is fairly more stable bacause you can separate the feet more than the stock ones. 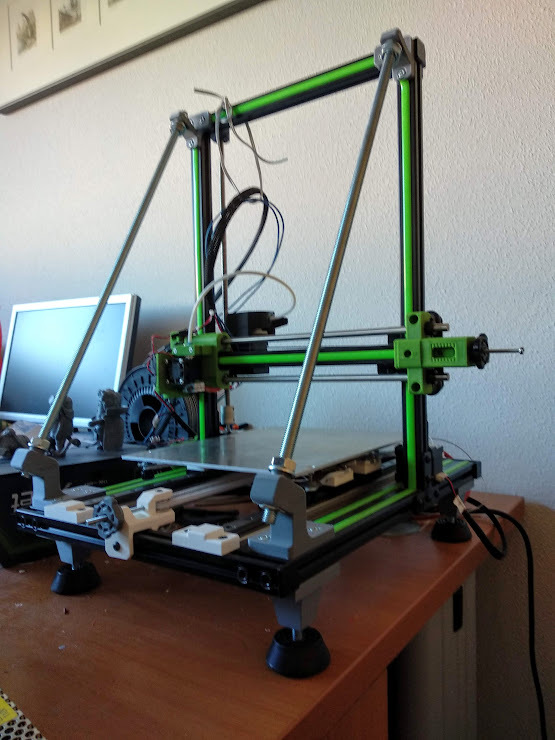 Finally, due to the rubber, the is almost no vibration on the table where is located the printer. You can see a photo of the final result below this line.